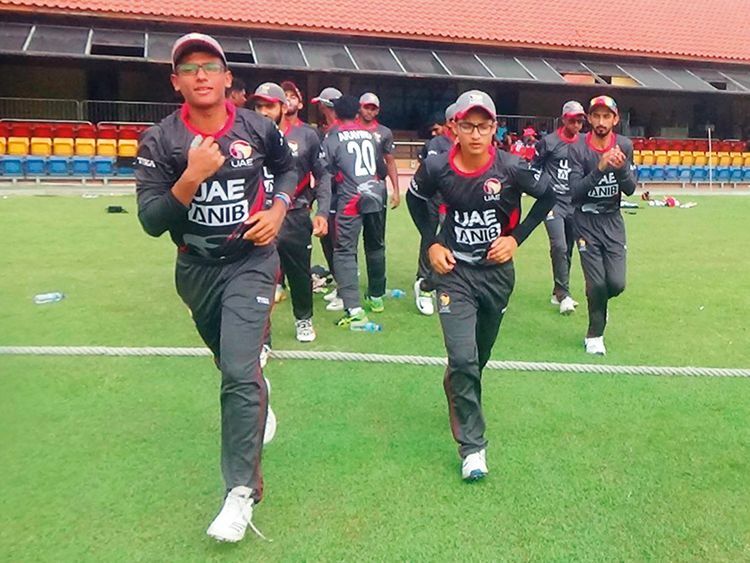 Dubai: The UAE are on the brink of qualifying for the ICC Under-19 World Cup. Riding on another brilliant performance from skipper Aryan Lakra, and yet another unbeaten knock from wicketkeeper-batsman Vriitya Aravind, the UAE trounced Singapore by nine wickets. Lakra, bagged his second consecutive man-of-the-match award by cracking a half-century and bagging two wickets. Singapore were restricted to 134-9 in 50 overs. Chasing the target, opener Lakra hit an unbeaten 56 off 68 balls with three boundaries and put on 61 in 11.3 overs for the opening wicket with Syed Haider. Consistent Haider scored 33 off 42 balls with five boundaries before being trapped leg-before by Singapore left-arm spinner Ishaan Sawney. Aravind and Lakra then guided the team to victory in 26.2 overs. For the third consecutive time in this tournament. Aravind remained unbeaten while steering UAE to victory. His unbeaten 36 against Singapore came off 48 balls with one boundary and one six. He was still standing on 37 at the end of the win over Nepal, and held his bat against Kuwait and Malaysia. The UAE now top the table with eight points with the last match against Oman on Wednesday. UAE are now keen to overcome the last hurdle. “A win over Oman will mean a lot for all of us. That is our last hurdle to go past to qualify for the World Cup and we are all focused on it,” added Lakra, who began Singapore’s slide by clean bowling Singapore opening batsman Sai Venugpopal for a duck. Off-spinner Mohammad Farazuddin, who opens the bowling for UAE, once again removed the top order with a spell of three for 11. UAE bt Singapore by 9 wkts. Singapore 134 for 9 in 50 overs (VC Mehta 27, R. Sharma 41, Mohammad Farazuddin 3 for 11, Aryan Lakra 2 for 23) UAE 137 for 1 in 36.2 overs (Aryan Lakra 56 n.o., Syed Haider 33, Vriitya Aravind 36n.o). Man of the match: Aryan Lakra.